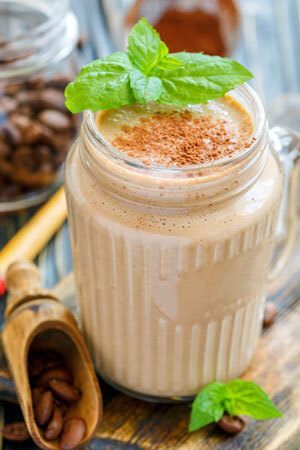 Substitute that sugar-laden, high calorie morning coffee with a mocha smoothie. If you simply can’t start the morning without that caffeine hit and you love your coffee laced with chocolate, then these are for you. Coffee and chocolate may not be the first two ingredients that come to mind when you think of breakfast, but these are healthy, filling and delicious. 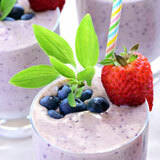 These smoothies are sweetened naturally, either with fruit such as bananas and oranges, or honey, vanilla or cinnamon. 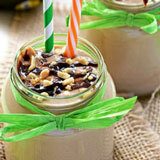 Cacao gives these smoothies their chocolate flavour. This is raw chocolate, minus the added sugar, but with all the added benefits of antioxidants. 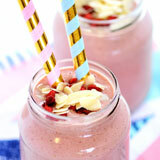 To really transform these drinks and get that characteristic velvety thickness and smoothness, I use frozen bananas. Otherwise it’s really just iced coffee. If you intend to turn these into a meal replacement as your go-to breakfast, I would suggest adding Greek style yogurt or peanut butter to help keep you feeling fuller for longer. 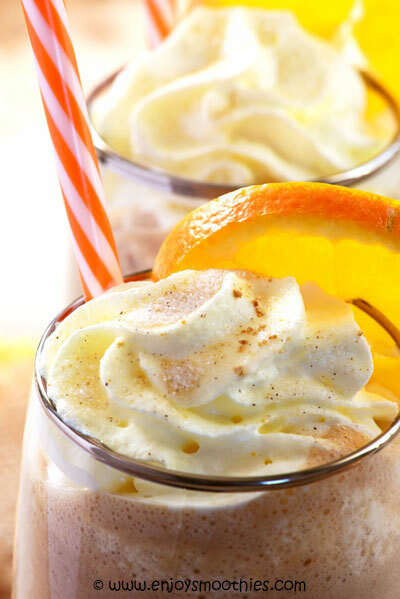 As these recipes are made using chilled coffee, some planning is needed to ensure you have pre-made and chilled coffee on hand. 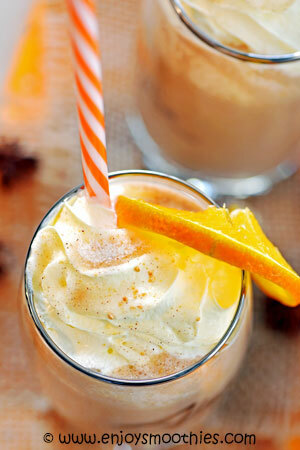 I also make the coffee stronger than normal, to give your smoothie that café latte taste. 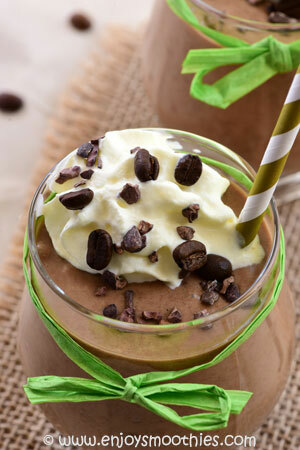 Blend together the bananas, vanilla yogurt, espresso, almond milk, cacao and vanilla bean paste until smooth and creamy. Makes enough for two serves. Add the frozen banana, yogurt, espresso, almond milk, mint leaves, cacao powder, honey and ground cinnamon to your blender and blitz on high until you have a velvety smooth drink. 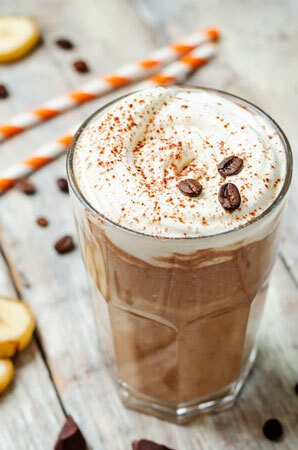 Blend together the frozen bananas, espresso, almond milk, peanut butter, cacao and vanilla bean paste until you have a smooth and creamy thickshake. 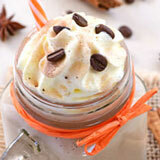 Combine the banana, orange segments, yogurt, coffee and cacao in your blender and whizz on high until smooth and creamy. Pour into two glasses and top with orange slices.